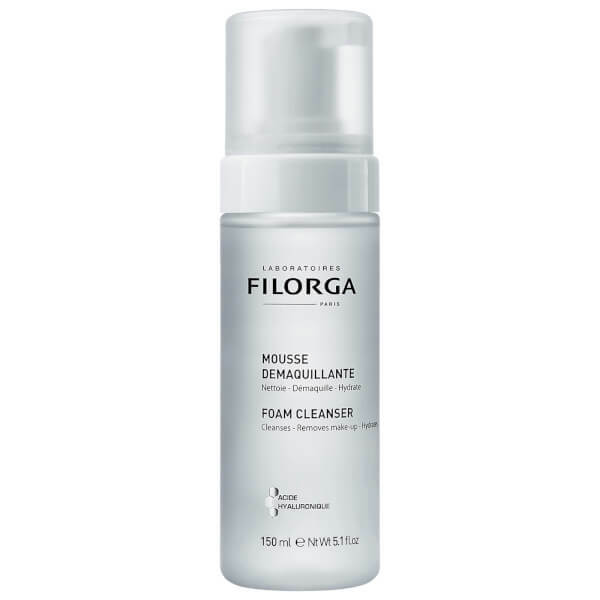 Purify skin with the Foam Cleanser from Filorga; a lightweight, anti-ageing facial cleanser that dissolves traces of dirt, makeup and excess oil while infusing skin with moisture. Fortified with high molecular weight Hyaluronic Acid, the refreshing formula addresses premature signs of ageing and seeks to smooth the appearance of fine lines with antioxidant-rich Madonna Lily helping combat free radical damage. Suitable for all skin types, the soothing face wash results in a clear, soft and revitalised complexion that’s ideally receptive to further skincare treatment.